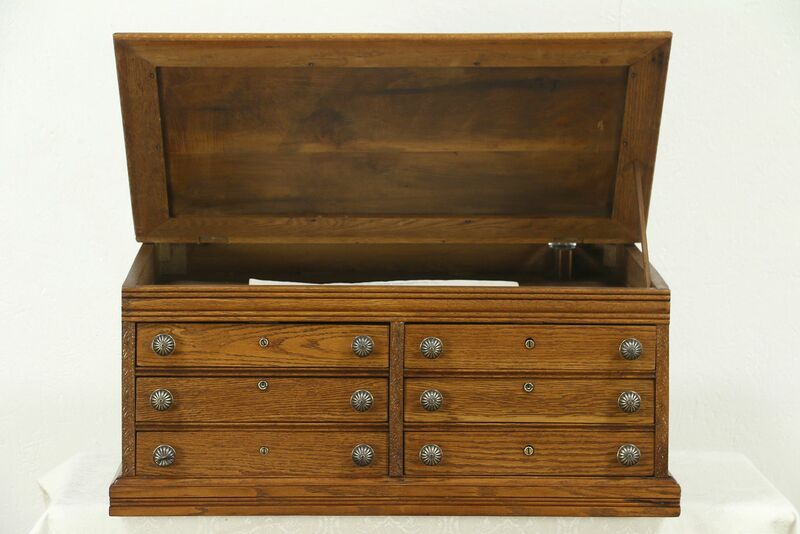 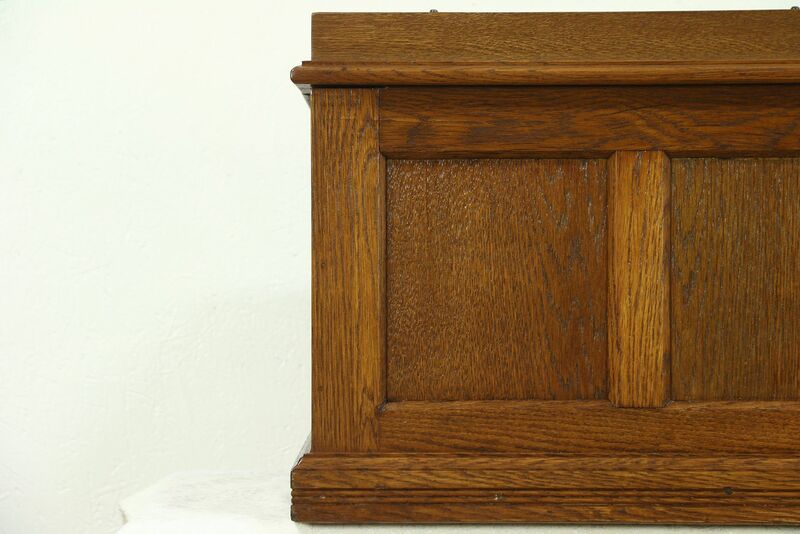 A Victorian "spool cabinet" was used to sell thread in a general store in the 1890's, and makes a nice jewelry chest or collector's cabinet as well. 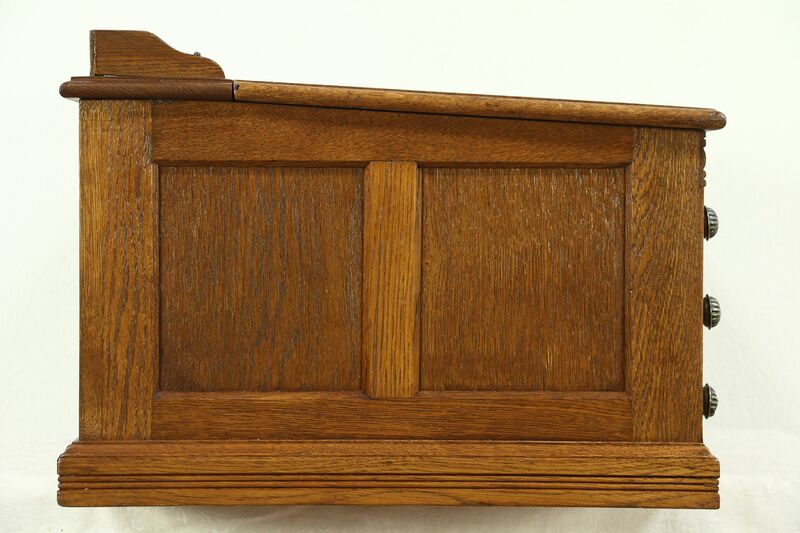 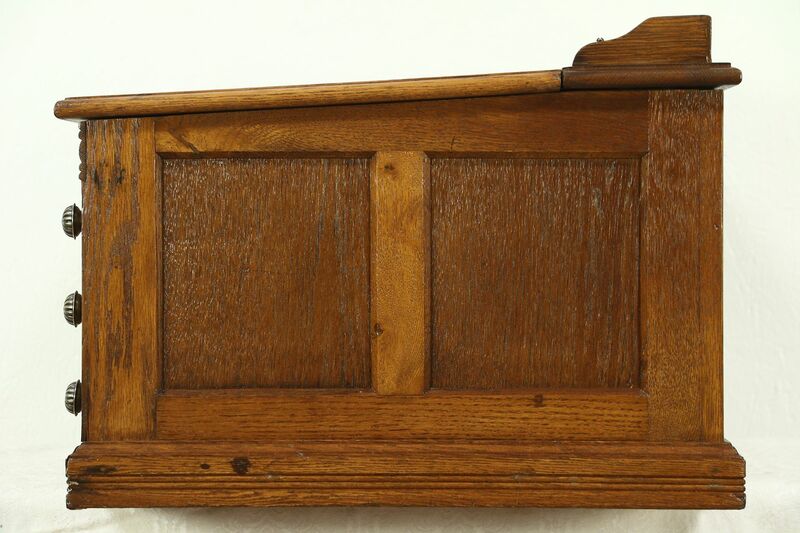 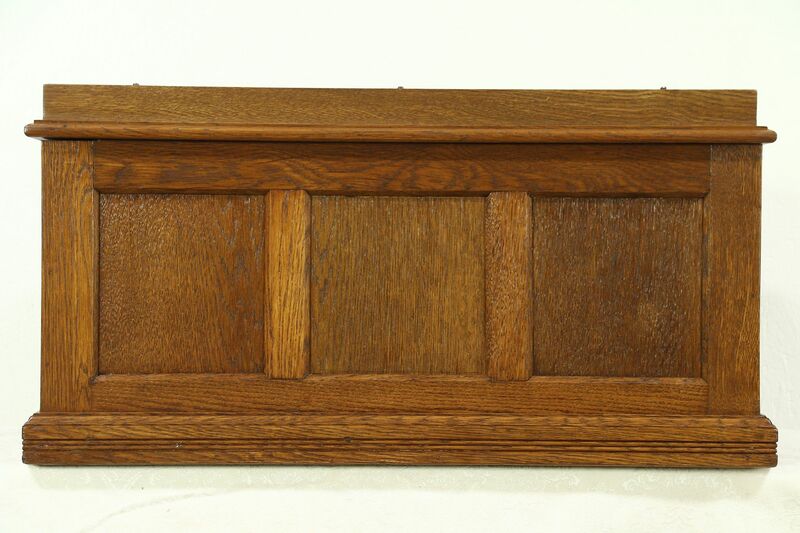 The restored finish is in excellent condition on solid oak. 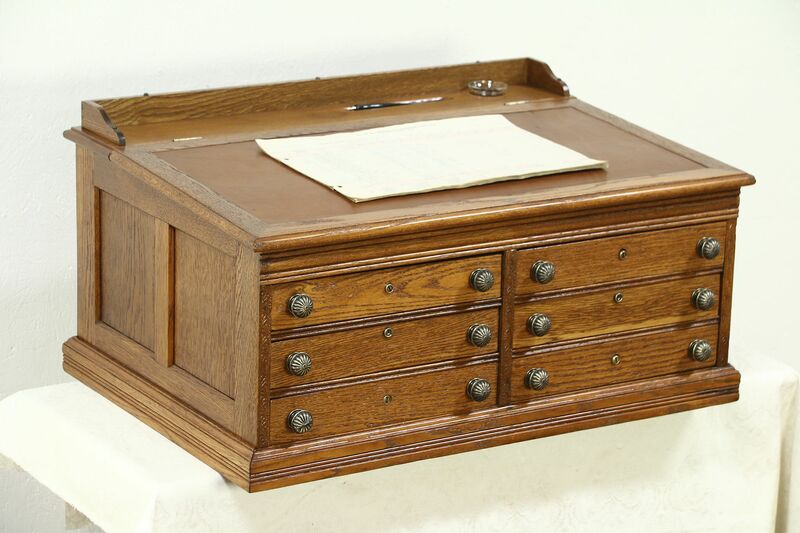 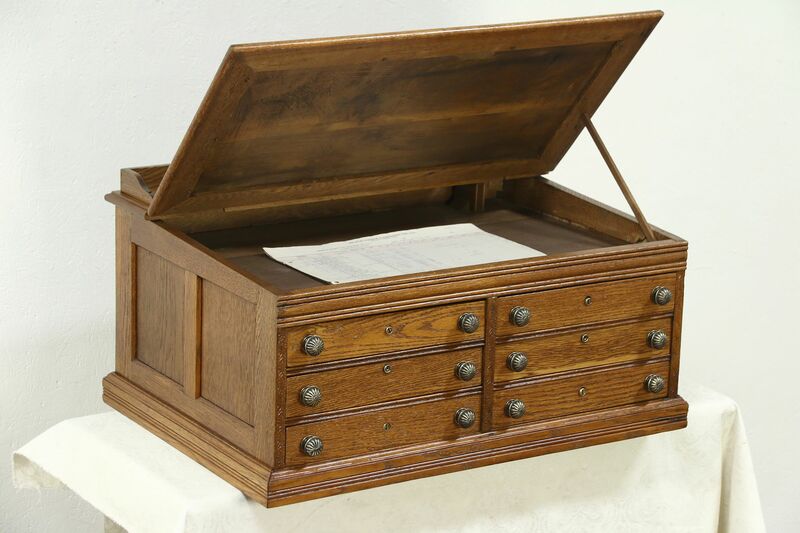 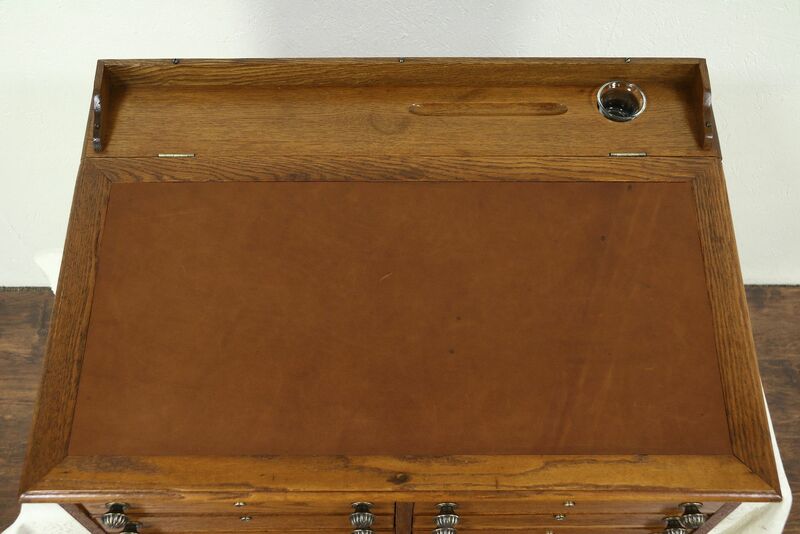 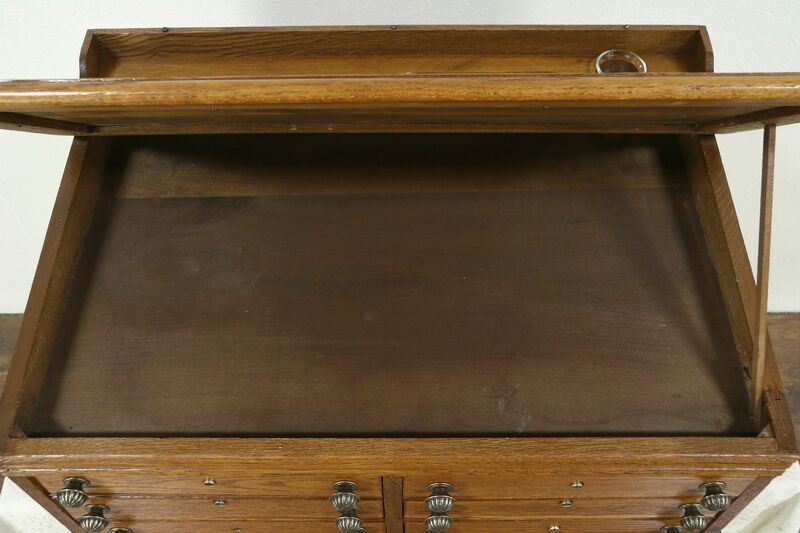 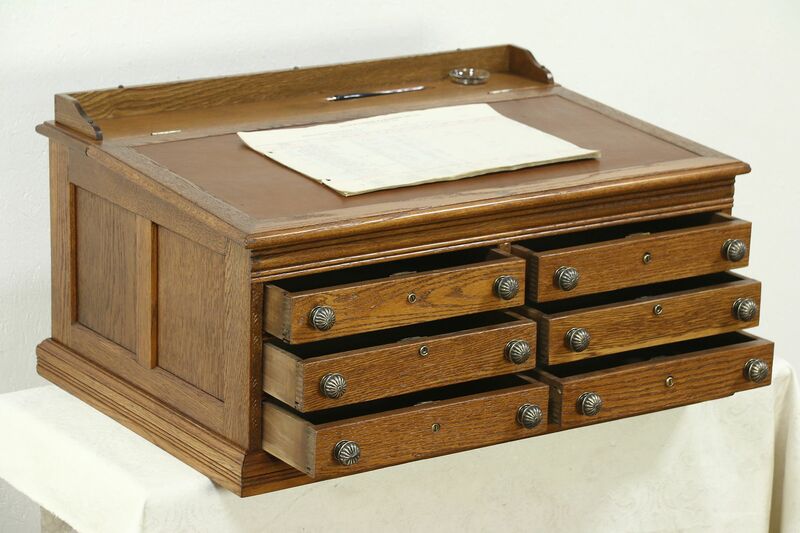 A slanting lift lid has a new leather writing surface with and replaced glass inkwell. 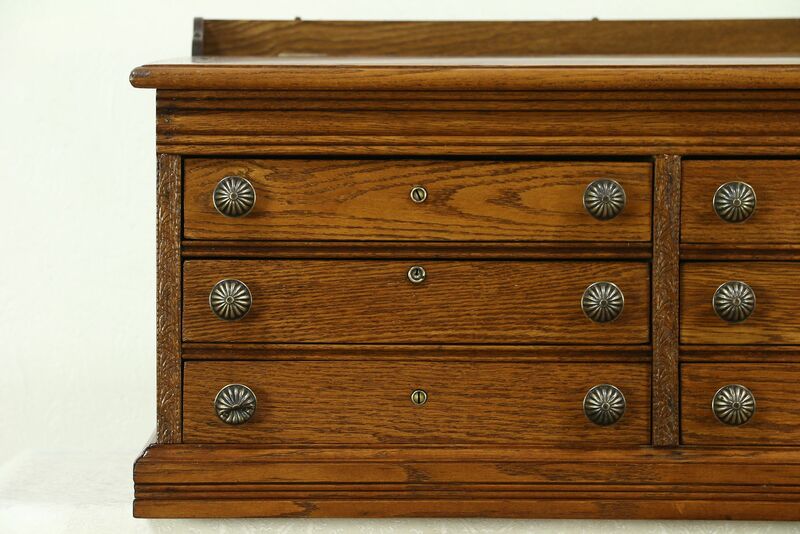 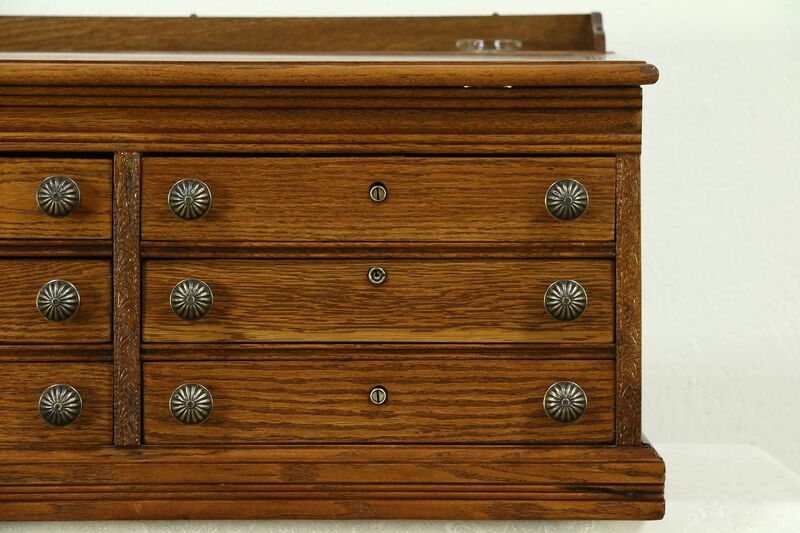 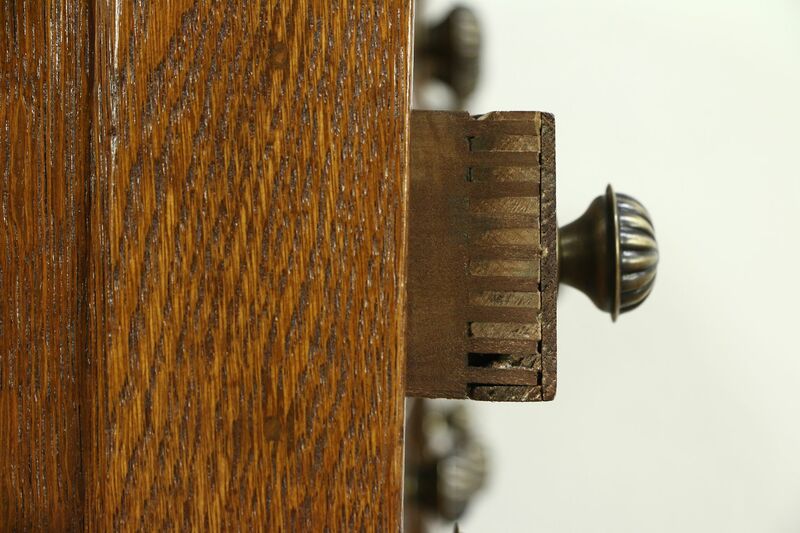 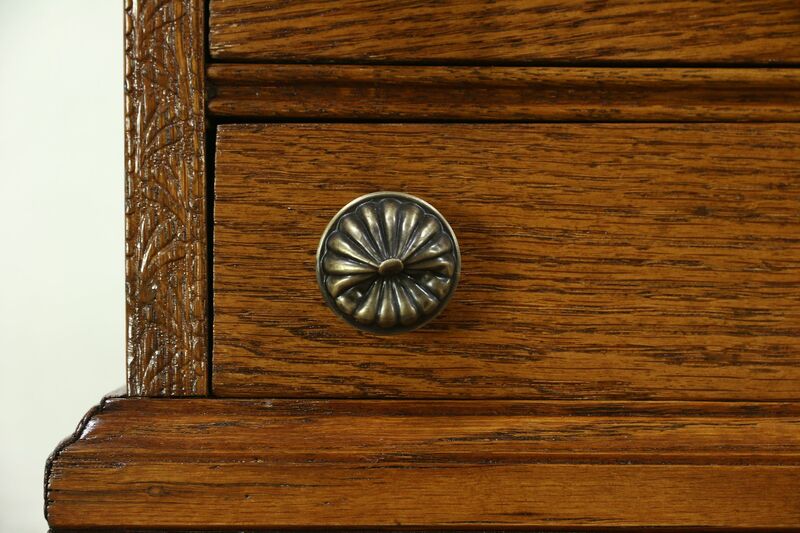 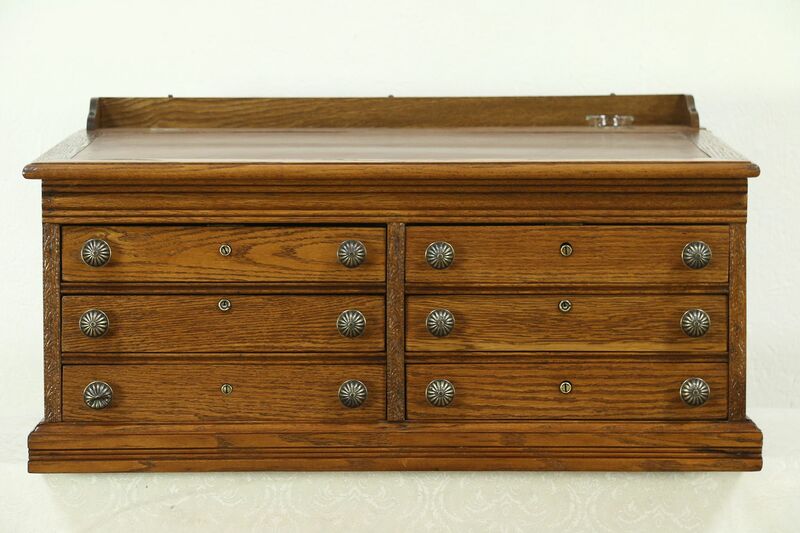 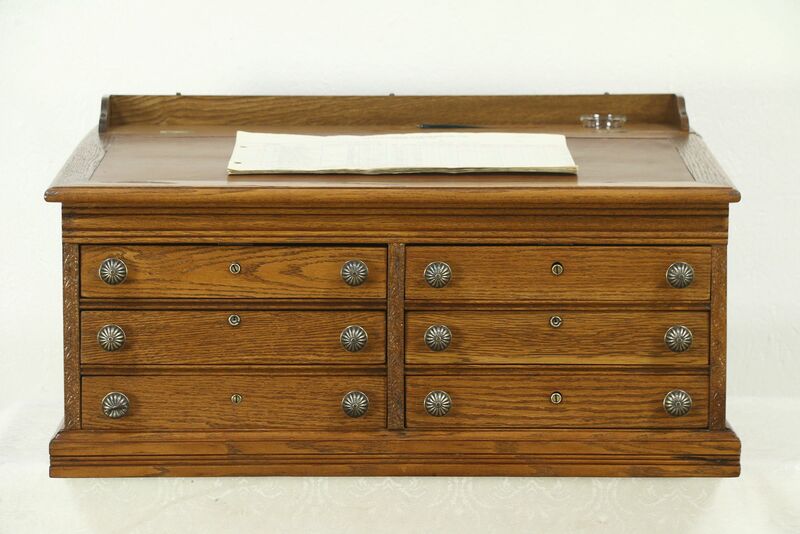 Six drawers have "finger" dovetail joints at the corners and solid brass "pumpkin" pulls. 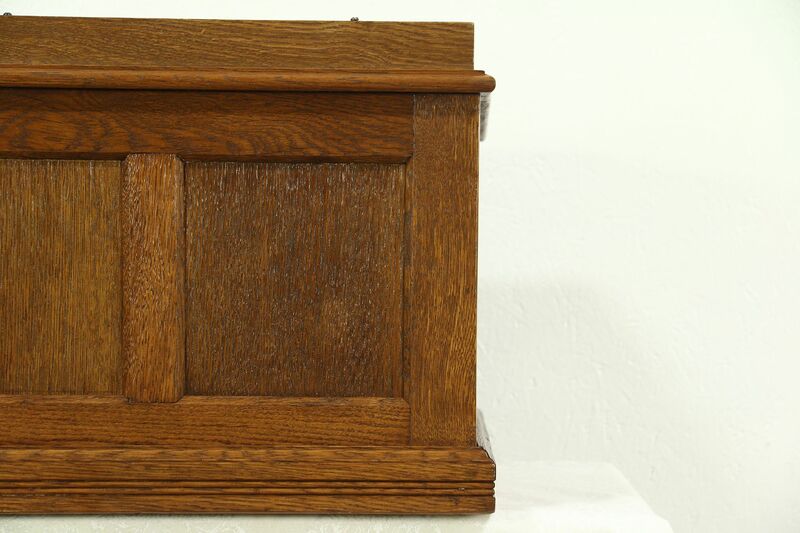 Measurements are 33" wide, 23" deep and 17" tall including the gallery, 14" tall in the front.